In 2005 General Motors released a Saab branded version of the mid-sized GMT360 SUV platform that shares parts with the Buick Rainier, Chevrolet TrailBlazer & SSR, GMC Envoy, Oldsmobile Bravada, and Isuzu Ascender. 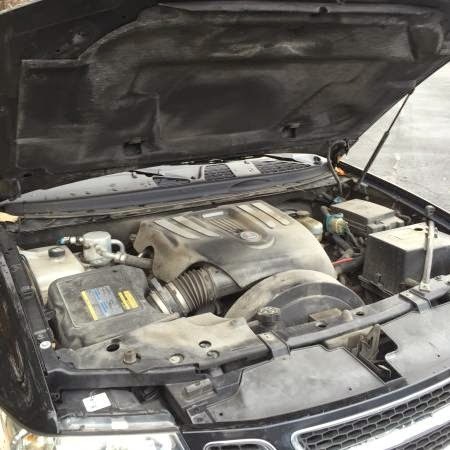 The Saab 9-7x version was not that exciting until the 2008 model year when Saab released the LS2 powered Aero version (aka the Trollblazer), which was most powerful production "Saab" ever built. 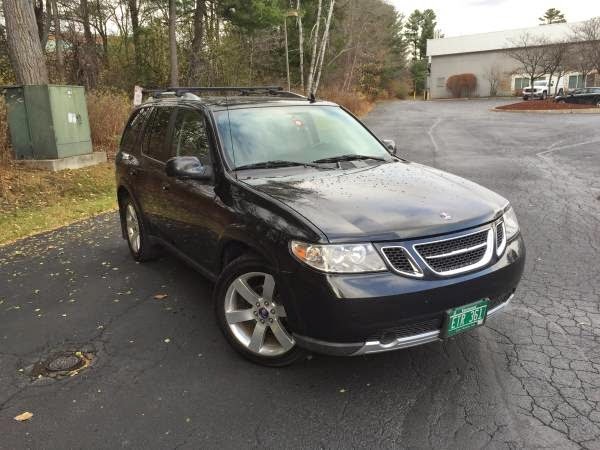 Find this 2008 Saab 9-7x Aero here on craigslist offered for $12,000 in Vermont. I know what you are thinking...a big 4,800 lb SUV, how could it possibly be fun? What if I told you that someone shoved a 390 horsepower LS2 from the Corvette/GTO into this big beast -- and that someone was the GM factory? Connect the big V8 to a Torsen center differential equipped AWD system and now you've got a car with a 6,500 lb towing capacity that will do 0-60mph in 5.7 seconds. Under the filthy plastic shrouds in this Trollblazer engine bay is a 6.0 liter all-alloy pushrod LS2 V8 -- rated at 390 horsepower and 400 ft-lbs of torque. The best thing about this hot rod is that it is a factory job, which means you won't have headers rubbing on your cross member, and it'll work great for taking the kids to school or ripping 12 second passes at your local drag strip. You are going to need some work to get there from the stock 14 second 1/4 mile times, but GMs LS series engines are always ready for more air and fuel. The Trollblazer interior is nicer than the standard GM stuff and it features some Saab quirks niceties, like the center console mounted ignition switch and swing out cup holder. This is not a bad vehicle in an absolute sense, but it's a clear illustration of how little GM understood Saab, Saab buyers, and upscale cars in general at that time. 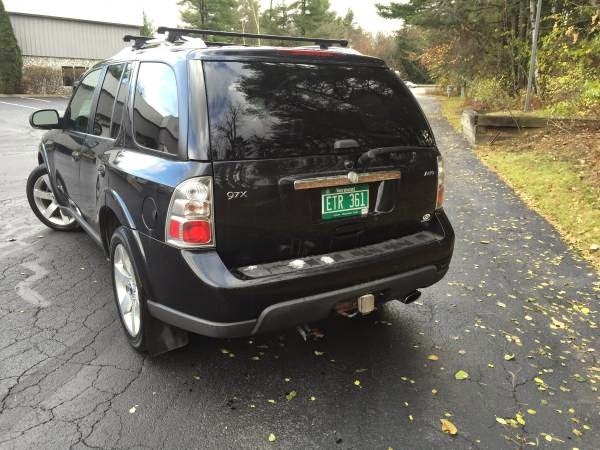 It's the nicest Trailblazer GM ever did, just as the 9-2x was the nicest Subaru WRX wagon you could get at the time. But the fact that GM would dump that mess of unconnected badge-engineered product into Saab, theoretically competing against Audi, BMW, Volvo, etc. illustrates what they just didn't know. When the first Cadillac CTS came out, I remember looking at one at an auto show, parked a few feet from a Saab 9-5. The Saab probably had more money in one front seat than GM had spent on the entire Cadillac interior. The first CTS-V was a blast, and an excellent package mechanically, but it was in no way competitive in detail design or material quality with the German and Japanese competition. Saab needed a giant infusion of capital in the early '90s. They needed a broader product line. The 9-5 wagon could have made an excellent XC90/Allroad competitor. AWD came to Saab ten years too late. But - as with Saturn - internal culture wars and a complete failure to understand the costs of being competitive in the marketplace left the brand to wither. 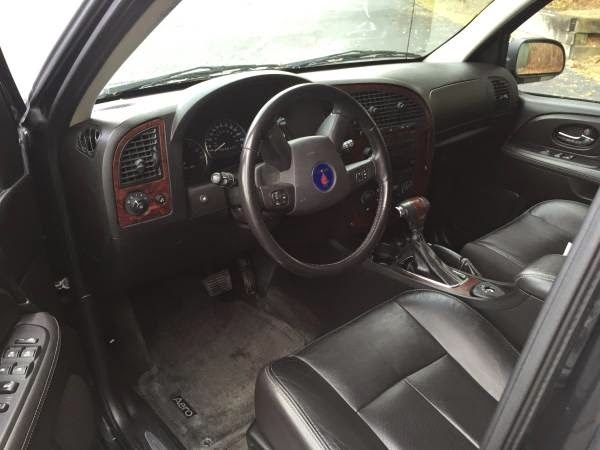 "It's the nicest Trailblazer GM ever did" no joke and I would have fun with this one! Just bummed the only 3rd row options are a little sketchy on these, since I am a man with a plethora of children. OwenDRUM -- what do you mean by sketchy? I too have a gaggle of geese following me around on a day-to-day basis and have wanted something with a third row -- but are you concerned about safety if you get rear ended? 3rd row seats (especially older rear-facing) in many cases are tacked on after structural design is done, and many are in the crumple zone. Perhaps that's what Mr. DRUM is referring to? And on that note I have got to get my header to stop rubbing on my cross member......and get rid of the slushbox.